Like you, I get loads of spam emails from people all over the world who insist on sending out emails in the blind hope that one day, just one person may just want their stuff. They ignore relationship building, trust, targeted promotions, and building connections. They basically jump to 4th base without a care in the world. I get promised Page 1 of Google and graphic design beyond my wildest dreams. And you wouldn’t believe how many social media companies email me with their offers of social media help. Thanks, guys! Like most, I usually delete their messages, report them for spam and generally give them the cold shoulder. But I got a random email the other week and I was having a funny day so I thought I’d try something new with this spammer from Bristol and offer a little Todd advice. I thought, probably naively, that my reply might help them in the future. It might have done, but I’ll probably never know. Anyway… here’s the email I received, without warning, from a company who shall only be known as Company X so as not to give them ANY publicity at all… They don’t deserve it! Hope you are keeping well. Please could you pass this email to your decision maker, We are a Bristol, UK based printing company and we have a special deal that could save you up to 45% on the average print industry prices. The list of products is below with the quotes to compare. Not only that you also get 500 C5 envelopes as a compliment if you spend more than £200. Quote is inclusive of delivery within 5/6 working days. We can also deliver express for a little more. No other costs other than Vat where applies. Should you wish to Proceed then please reply to the email quoting the reference: RICH-JUNE-15. Do you need a print sample pack? Just email us your full postal address with a request and we will post it 1st class royal mail. Great isn’t it?! A really personal email. I haven’t changed the dodgy grammar and I haven’t removed any random uppercase lettering either as it all adds to the atrocity. This is not bad compared to some of the emails we all get, I know, but here’s what’s wrong with this email, in case you wanted to pick up some tips for your own email marketing. It’s not personalised. It says “Hi!” and that’s it. No name. You should personalise your emails with the person’s name for any chance of it getting any attention. The email came from a Yahoo address. Yup… they didn’t even send it from a proper email. They probably did this to save their domain from being blacklisted from the spam reports… or maybe they’re really THAT unprofessional. Use domain addresses for your emails. Sales emails from a free email look bad… and Yahoo?! Even worse. They assume. Indeed I AM the decision maker in my company but they (for some reason) assume I’m not, and ask me to forward it on to the mystery decision making person. There’s no pain and relief. They could have said “Are you paying too much for your printed items? We can guarantee that we’re the cheapest and can save you money”. Instead, they just went straight for the “here’s our stuff” approach. They signed off with “Kind regards” which I always think sounds very “I didn’t know what to put here” but maybe that’s just me. Jo says it’s quite normal for businesses in the corporate world! And then the best bit… the final nail in the coffin for this awful sales letter… they say it’s not an automated email… despite the fact it’s not addressed to me and has no personalisation whatsoever. It IS automated and they’ve added me to a list I didn’t subscribe to, which is against the “Can the Spam Act”. So, what did I send back? A ranty, snotty email? Well no. Actually I tried to help this hapless spammer for one reason only: they said they were from Bristol in the UK and it made me feel some sort of something for them. I don’t know what this was but for some reason (as I was in a great mood) I replied with some helpful advice and tips… with a little sarcasm. It’s strange, you know. I don’t know you and you don’t know me but you felt the need to try and sell me something you don’t even know I need without doing the whole ‘relationship building’ thing. I don’t need currently what you’re offering but you need some help so here’s some advice, for free, just to help you out. 1) Network. Go to meetings (I’m a 4N member) and meet people and get to know them. People buy from people after all. This takes time but trust me – it works. So many people need printers you’re bound to find some business. 2) Use social media. If you’d have been searching for terms like ‘rebranding’ a few months a go you could have followed me on Twitter and started getting to know me. We needed new business cards then. We don’t now. But maybe someone else does? 3) Don’t send stuff on email unless you would love to get it it yourself, from someone you’d never heard of. I like to pretend anything I send out there was sent to me and see how I felt. 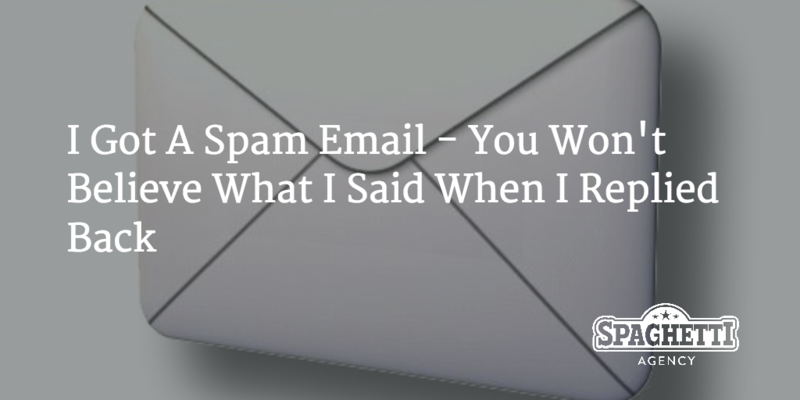 To me, from your email, I felt annoyed that you wanted to spam me with untargeted information. 4) People’s names matter. Invest in some decent email software that allows you to email people with their name. Names matter; we’ve had them all our lives. Use them for a friendly approach. 5) Email marketing works… when you give, give, give, then ask. Don’t just sell to people. Share your blogs and tips. Offer free advice and help. Be someone people think of when they think about printing experts. Show that you know your printing. Don’t be someone they avoid or think of as spammy. Anyway. There’s my top five. I have many more but I have a business to run and dinner to eat. Good luck… at the moment you need it. Email marketing works. Spamming? I never heard of any successes. Spamming annoys me but not for the reasons that you might think. I wonder why they bother. I think “There’s so much of it – maybe it works?!”. I wonder if it’s like the Virgin Media approach: They send so much that something’s gotta stick? I just really want to meet a spammer and find out how they’re getting on. I secretly wanted Sophia (if that’s even her name) to reply. I wanted to find out. I wanted to know why she bothered. Does it work? I doubt it, but I’ve never met a spammer who admitted it, so I wouldn’t know. If you’re embarking on some email marketing then bear in mind that you’re about to interrupt someone’s day – make damn sure you have the right to – and that you have the news or helpful information to make it worthwhile! We send out an email to our list every week. We share funny stories from the internet and we do it to amuse people (The Friday Digital Roundup). We like to make people laugh and we like them to think of us every Friday. We mention our workshops and our readers are probably aware that we offer social media management and social media training… but we only devote a small portion of the email to our own news. There are a lot of emails out there and getting yours opened requires a lot more than just a funky subject line and a cool offer. Sometimes email users even have to recognise your name or they won’t open it. We have a really good open rate for our emails because we bother to get to know people AND we offer great value in the emails too. I’d love your thoughts on this, I really would. This isn’t the first time I’ve replied to spam like this – but I never get a response! Hit me up in the comments with your spam stories or thoughts on why they do it. I’d love to work it out. I read to the bottom, but I was intrigued and it resonated with me. I’m still a newbie and still learning. I haven’t tried email marketing yet, so thanks for the advice. Hey Donna, it’s a pleasure. I have some sources for email marketing ideas and content so do let me know when you get there. Subscribe to ours too… link in the last paragraph ‘Friday Digital Roundup’ so you can get an idea what we do, too. Hey Melody, that’s great. Lots of useful advice on this blog so have a look around and drop me an email if you need any advice. I love the phone call idea! Great article. I too get plenty of the emails offering me page 1 google ranking, website overhaul, SEO, app development etc etc as you say with no idea if I actually want, need or have any interest in it. I have once or twice also replied to the spammers pointing out that for companies of such high repute (their claims) that a gmail or yahoo email address just doesn’t cut it. And I imagine you got the same silence that I got? Thank you for posting, it’s really good advice. 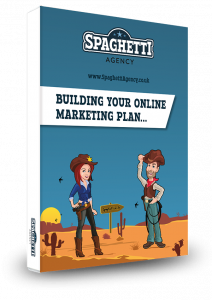 Working in a family business that’s been around for 30 years embracing social media as a marketing tool is a little daunting. It probably shouldn’t be as we use it socially everyday but it is. I get bombarded everyday with spam email that gets deleted immediately – I simply don’t have the free time to read what I don’t need so no I don’t believe they work – people are just too busy! Subscribe to our email. You’ll see we don’t spam… We just amuse and keep you interested in U.S. If you need our services the hopefully you’ll remember us. That’s the best way to market your brand! I fully get where you are coming from here. I too get bombarded with these spam emails. I would say that these companies are relatively small and have likely bought in a huge email database from a 3rd party company. Probably obtained very cheaply as the email targeting is not that precise. It appears that generally no small businesses like to spend out money (even if it could bring them more business!) they are usually quite narrow minded. 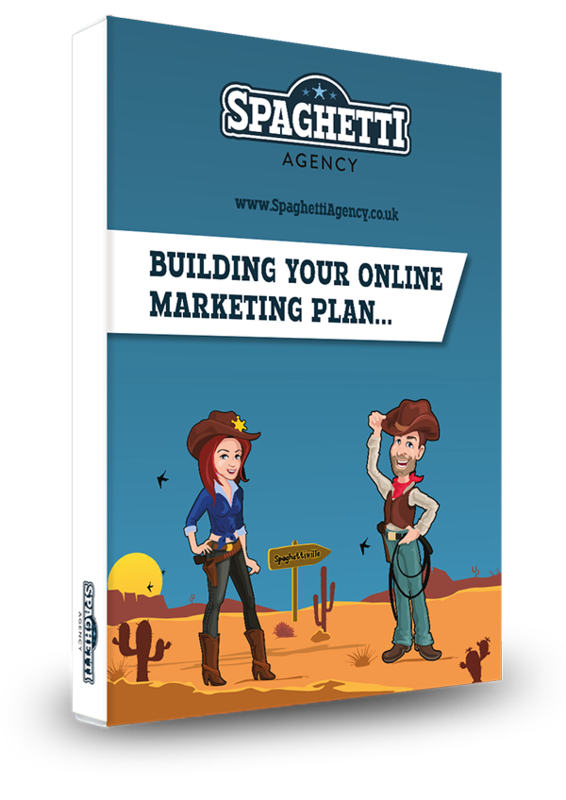 By buying a cheap database and using a basic email system they can reach a large audience of people by constructing an in-house generic email by one person (usually a low paid employee) that just puts something together to their best ability. This can all be done in a matter of minutes. The theory, spend little money and time and if they get one hit it pays for itself. Very much a throw mud at the wall situation! Like an estate agent leaflet dropping 10 streets, getting one house on the market is worth it, for them. The problem is sone online companies do not understand the damage this can have on their organisation as they can get labeled as, “cheap and unprofessional”. It appears from how I see it that too many companies are all in it for making money NOW rather than building a solid business. Why? Usually because the company Director wishes to run the business as a lifestyle business, outlaying minimum costs but extracting as much as they can to pay for semi-lavish lifestyles. On another note, I took a call from a PPI insurance company this morning on my mobile, the number came up as an ‘0300’ number. I was reluctant to answer it at first but did, it was a computer generated voice saying i was liable to make a PPI claim. I hung up straight away. They were doing the same spamming process although by recorded telephone messages rather than email. So why do they do it, because there must always be someone out there who will follow up on it. Just like the little old lady who has just been told she needs to phone a 0906 number to claim £50,000. Spammers act like Scammers, keep dishing it out eventually you will get a bite and some money in your back pocket. They have no concern for morals, longevity in their business or the image they portray of themselves. Having dealt in fashion I have a similar example of this from a slightly different perspective. Jimmy Choo, Lanvin, Jil Sander and Missoni are all high-end fashion brands that have once produced lines to put into High Street shops such as H&M, Topshop, Target and Uniqlo. This enabled the younger less-wealthy fashion inspired people to obtain high branded goods from mainline designers for a fraction of the cost. Great huh? Well no, the wealthy all of a suddenly found themselves shelling out £900 for a mainline version of a Lanvin blazer that some college student has got a replica H&M/Lanvin version of for a great deal cheaper. All of a sudden the brand started to feel cheap and the wealthy got put off. These brands cashed in hard and fast at the time the collaboration happened from lots of happy shopping youngsters, but then boom, they need to suddenly recapture their original target audience again, the one they had spent years building. So much customer loyalty has gone out the window in today’s market that everyone feels they need to just cash in NOW, NOW, NOW. A lot of companies make the mistake that in order to do this it is about offering a low price or a gift with every purchase etc rather than standing firm as a professional company. While I’m here please visit my online clothing store, its all cheap and am giving away a free wire hanger with every purchase! Mud sticking is the thing, I agree and you’re so right – the damage they’re doing is what they’re missing! It’s a sad state of affairs when a company resorts to the easy method rather than the human one. Thanks, Ruth. I’ll check that out! Brilliant. Seen it before but awesome to read again. That’s going in the Roundup this week! Love this!! I have been thinking this for ages about all the SEO marketers who try to get me to look at their services. Some even send me impatient emails questioning why I haven’t replied to their original email. I am going to try your tactics next time. Well done on saying what really needs to be said… all the time!! Maybe you should write another blog about social automation. That too I find very “un-social”. I loved this post. Really engaging and I just loved your response. Maybe I will write back and send them your link.